Attaching things to random places on the boat seems like a common occurrence. If you get a towel wet, you hang it on a lifeline to dry. When the sun is melting you and your guests in the cockpit, you rig up a sheet to stave off the solar radiation. Have a line that is in the way, tie it up so it doesn’t become a problem. Up until last year, this was accomplished with bungees, clothes pins, or other fixers which inevitably failed, were lost, or just generally took more work to use than they should. Then I stumbled across Fix Clips, and I don’t need anything else. Clips are not as glamorous as the other things I usually write about, but Fix Clips are a work of art from the engineering perspective. 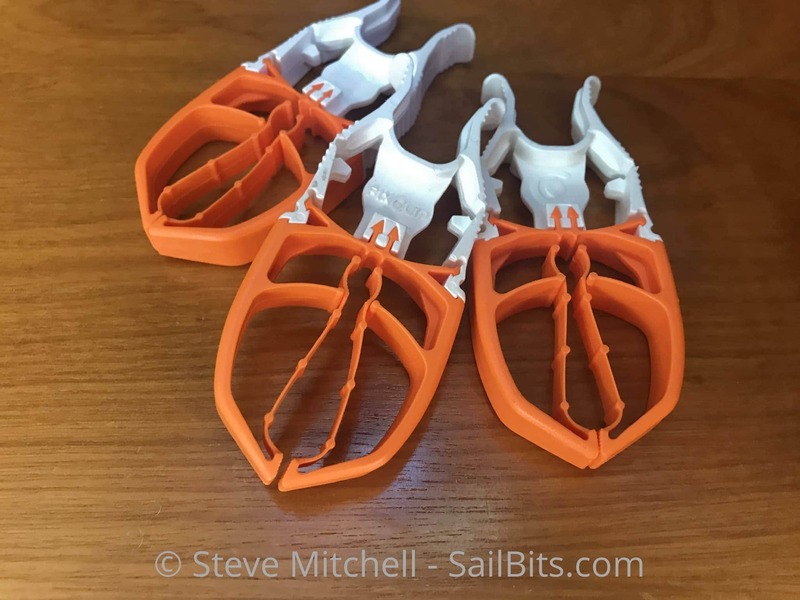 The clips have a white control or grip part, and an orange grab part. 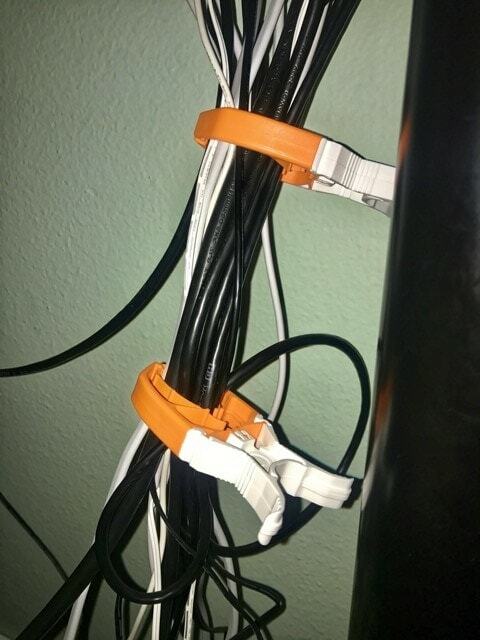 The orange part is where the magic happens – able to grip from as small as a lifeline, up to 1.25″ stainless tubing and hold something very heavy, very tightly and in a “locked” position. They don’t appear to wear out quickly, and weather the marine environment based on our use the last year. The overall design of the two materials connected together, and the utility of being able to grip something so securely is what really impresses me with their design. 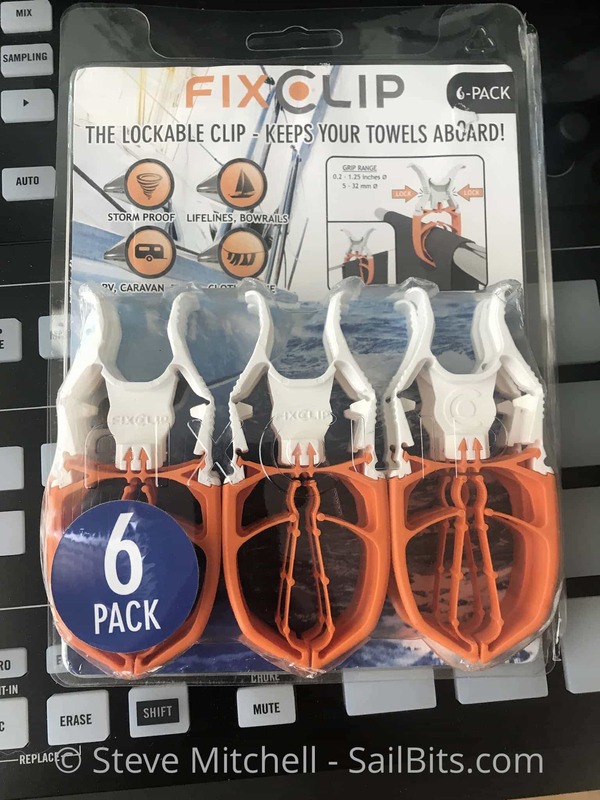 The clips come in a 6 pack, around $20 when I purchased them, which works out to about $3.33 per clip – a great deal. They’re made in Sweden (http://fixclip.org/), but easily found on Amazon and other sites. The manufacturer has a funny video showing a “Storm Test” of 70-90 knots of wind with the Fix Clip working just fine. I don’t think I will be leaving my towels on the lifeline during that kind of storm, nor would I likely be on the boat worrying about them at that point, but it is nice to know it is designed to be very strong! They are specifically marketed to boaters, showing lifelines and rails, and I can say without a doubt they work just as advertised. You can see in the photo above that the white part indents in when locked – it is a very clear, clicky feeling when you do this – and the orange jaws part is essentially closed as tight as can be, unable to open. That secure locking feature is what makes them so reliable to hold things on round objects. The inner part of the jaws stretches to match the material you’re trying to hold and the underlying pole. I can’t tell you how many times I have dropped a towel off a lifeline because of crappy clips. My least favorite is coming back to the boat to find the towel and clips missing, wondering if some other sailor has sucked it up in their prop and is cursing me. 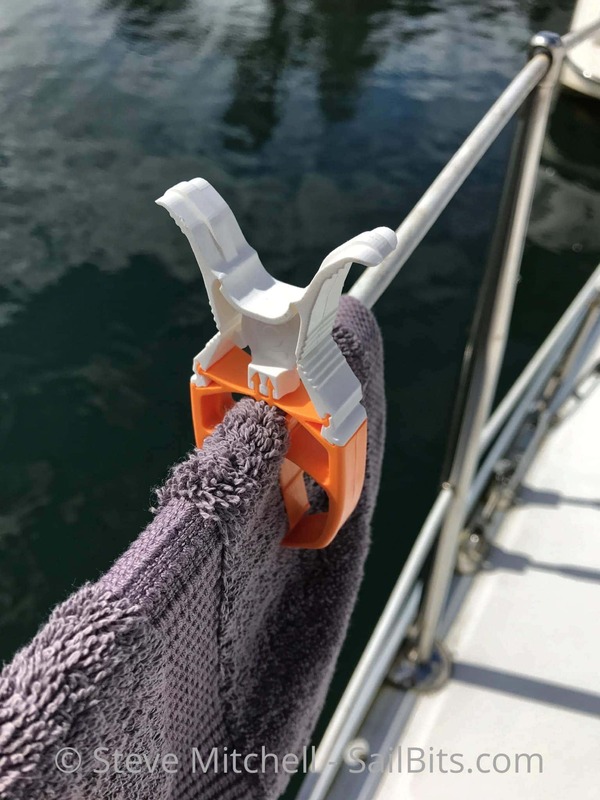 Fix clips have a narrower bit at the top or innermost portion of the orange part that fits perfectly on a lifeline, even with a thick terry cloth towel. And I have never lost a towel even in high winds when I forgot to bring them in. You can even tug on them with quite a bit of force and they don’t budge at all. The clips can also hold a lighter load over a 1″ or 1.25″ rail or other round object. 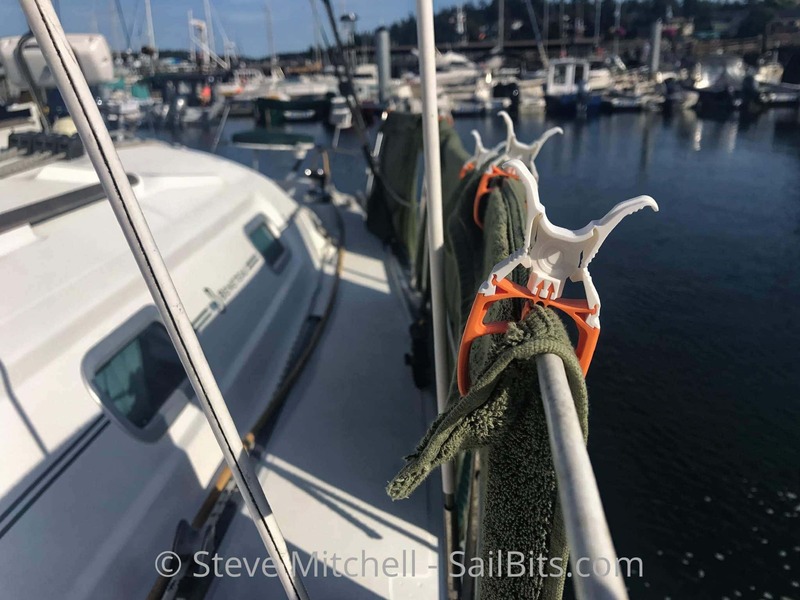 I’ve used them to rig up sheets and blankets to block the setting sun, dry out hats that have been lost and then retrieved overboard while underway, and hold lines up and out of the way. The inner portion of the orange jaws flexes and bends to accommodate lumpy, weird objects up to a total of 1.3″ thick. 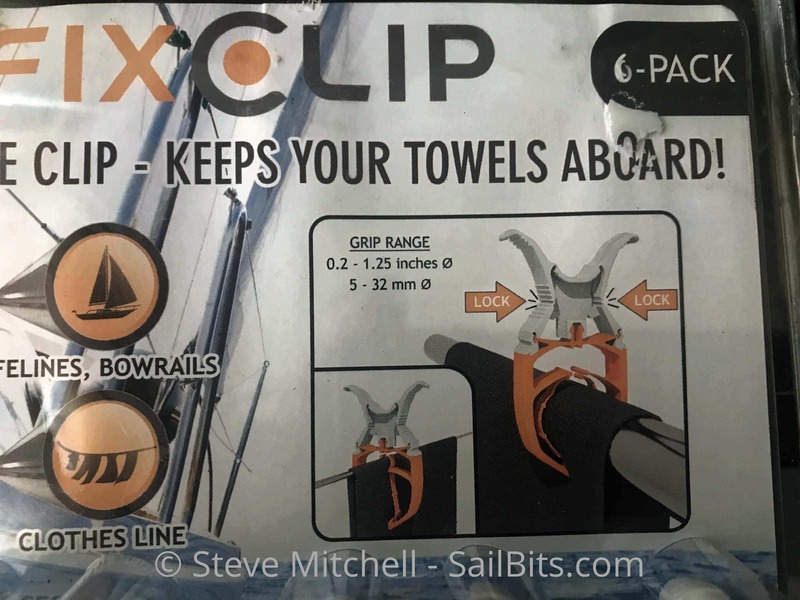 My crew loves the Fix Clips as well and use them everywhere around the boat, even inside for hanging clothes and the like. They loved them so much I had to get three sets for the boat since it always seems we are running out with things being hung up, secured, etc. while out and about. I’ve even gotten a set for home and use them in the car, around the house, in my office / engineering space. I like finding well designed, simple tools that help make life on the water, and elsewhere, more relaxing and easy, and Fix Clips definitely fit the bill!